WiZARDHAX.com is an educationally inspired gaming website that showcases the latest experimental advancements and innovations in video game ‘hacking’ and ‘modding’ across all gaming platforms; computer, console, mobile, web and more! All content featured and/or listed on WiZARDHAX.com is provided courtesy of the current, past and future team members, partners and friends of WiZARDHAX.com. WiZARDHAX.com holds your safety and security in our highest regard with guiding standards and principles in which content is reviewed, created, posted, packaged and released. WiZARDHAX.com provides you with the latest, most advanced and innovative solutions that put you in control of your gaming experience. We care about what we do and it shows! It’s the little extra “y0 Phil Dawg” we put into everything we do that makes the big difference…yum! Our loyalty and dedication to providing you with the most expansive, complete and comprehensive collection of hacks and mods is anchor strong. WiZARDHAX.com stands behind everything we do with 100% of our morals, values and principals to provide you with the most enjoyable modded gaming experience around. I started partnering with the WiZARDHAX.com team in 2010 because I was in need of some oven-fresh KeyVaults…boy did I find them! WiZARDHAX.com KVs are so legit you don’t even need a Wii to use them! 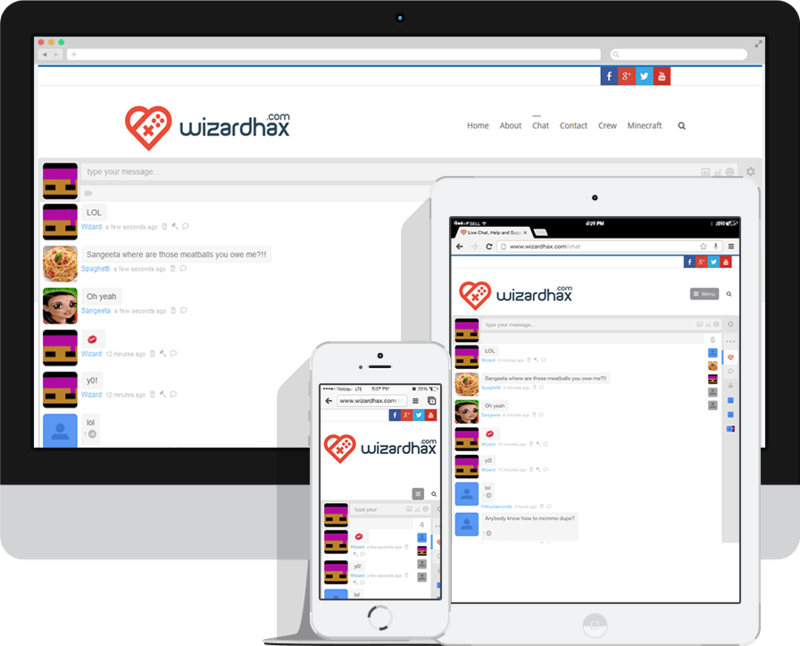 In the Spring of 2010, WiZARDHAX.com opened its doors providing the most innovative, reliable, professional and competitively priced online game hacks on the web. The Summer of 2010 brought lots of growth for the WiZARDHAX.com team including new game mods, new modding services, a wholesale KeyVault marketplace and core team expansion. It was an exciting time at WiZARDHAX.com in the Fall of 2010. Call of Duty, Gears of War and Halo series online game mods were booming and the first Black Ops game hit the marketplace. The Winter of 2010 was a rebuilding and restructuring time at WiZARDHAX.com. Black Ops Lobbies stayed in full motion while the team restructured and WiZARDHAX.com moved into v2. In early 2011, the WiZARDHAX.com team took an official break. All game modding services were on hiatus while the team relaxed and nurtured individual projects. y0y0y0! WiZARDHAX.com starts backup in full swing in the Fall of 2011 with a refreshed team, new game mods, new modding services and our quest to mod and film 100 Xbox games before 2012. The Winter of 2011 was busy! WiZARDHAX.com received a YouTube Partnership, formed a UK team, and successfully surpassed the 100 game mod goal. Woohoo! WiZARDHAX.com broke into 2012 with a fury of YouTube activity; promoting the latest-and-greatest GTA IV, MW3 and Minecraft Mods available on planet Earth. V4 of WiZARDHAX.com was launched. The summer of 2012 was a fun time at WiZARDHAX.com. We brought unseen mods for MW2 (TU7), blew the doors off Gears 3 with DCP, the UK team grew and we feel in love with Minecraft. In the Fall of 2012, the Q/A video series blew-up, iOS modding went into full swing with our Siri y0 mamma jokes and the computer team experienced great growth with our passion for Minecraft. The Winter of 2012 brought the release, and of course our modding, of Black Ops II, the PS3 team grew, v5 of WiZARDHAX.com was released and the US and UK teams merged. Minecraft, Minecraft, Minecraft! Our passion for Minecraft is running strong as we enter into the Spring of 2013. Did we mention that we really, really love to play Minecraft!?! The Summer of 2013 was a ton of fun for the team. iOS and MCPE modding was rocking, we started showcasing premium clients, the Top 5 Countdown was born and v5.5 of the site was released. We ended 2013 with a blast of mad hax y0! We slayed up Gears of War: Judgement, Call of Duty: Ghosts, ate a few tacos while going HAM on Minecraft. Yay 2013! Give me some 2014! WiZARDHAX.com cannot wait to see what the Spring of 2014 will bring. It is that time of the year we love; new games, holiday breaks and lots and lots of time for hacking and modding! WiZARDHAX.com cannot wait to see what the Summer of 2014 will bring. It is that time of the year we love; new games, holiday breaks and lots and lots of time for hacking and modding! WiZARDHAX.com cannot wait to see what the Fall of 2014 will bring. It is that time of the year we love; new games, holiday breaks and lots and lots of time for hacking and modding! WiZARDHAX.com cannot wait to see what the Winter of 2014 will bring. It is that time of the year we love; new games, holiday breaks and lots and lots of time for hacking and modding! WiZARDHAX.com cannot wait to see what the Spring of 2015 will bring. It is that time of the year we love; new games, holiday breaks and lots and lots of time for hacking and modding! WiZARDHAX.com cannot wait to see what the Summer of 2015 will bring. It is that time of the year we love; new games, holiday breaks and lots and lots of time for hacking and modding! WiZARDHAX.com cannot wait to see what the Fall of 2015 will bring. It is that time of the year we love; new games, holiday breaks and lots and lots of time for hacking and modding! WiZARDHAX.com cannot wait to see what the Winter of 2015 will bring. It is that time of the year we love; new games, holiday breaks and lots and lots of time for hacking and modding! WiZARDHAX.com cannot wait to see what the Spring of 2016 will bring. It is that time of the year we love; new games, holiday breaks and lots and lots of time for hacking and modding! WiZARDHAX.com cannot wait to see what the Summer of 2016 will bring. It is that time of the year we love; new games, holiday breaks and lots and lots of time for hacking and modding! WiZARDHAX.com cannot wait to see what the Fall of 2016 will bring. It is that time of the year we love; new games, holiday breaks and lots and lots of time for hacking and modding! WiZARDHAX.com cannot wait to see what the Winter of 2016 will bring. It is that time of the year we love; new games, holiday breaks and lots and lots of time for hacking and modding!